This year marks the fourth installment of Jake's Music Festival. This annual celebration of local music takes place on Saturday, September 6 at the Wealthy Theatre in Grand Rapids, Michigan. This will be the biggest line-up we've had since starting the festival in 2005. Featured performers include MidLife Crisis, the Truckstop Cobras, and Karisa Wilson. There will also be special solo performances by members of Craic Wisely and Domestic Problems. But wait there's more... we'll be announcing a couple more bands in the near future. 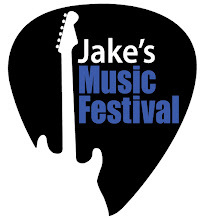 All proceeds from Jake's Music Festival support the Juvenile Diabetes Research Foundation's West Michigan chapter.